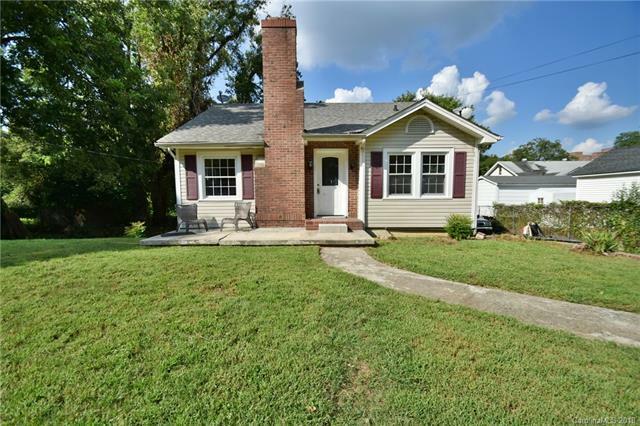 Come see this charming bungalow style ranch with basement nestled across two lots spanning 0.31 acres in the heart of Gastonia. The home features arched pathways, original hardwood floors, updated windows, and a kitchen that opens to both the dining and breakfast rooms. The basement has a walkout to the backyard and can be accessed directly from within the home. With a full bath in the basement, there is plenty of opportunity to expand the usable living area. Needs some TLC but is the perfect home for someone looking for lots of space both inside and out. Do not miss out on this one you will be sorry you did.